Excel Dryer, Inc. is the innovator of the original, patented, high-speed and energy-efficient XLERATOR® hand dryer that helps event and stadium suppliers reduce energy consumption, maintenance and waste. 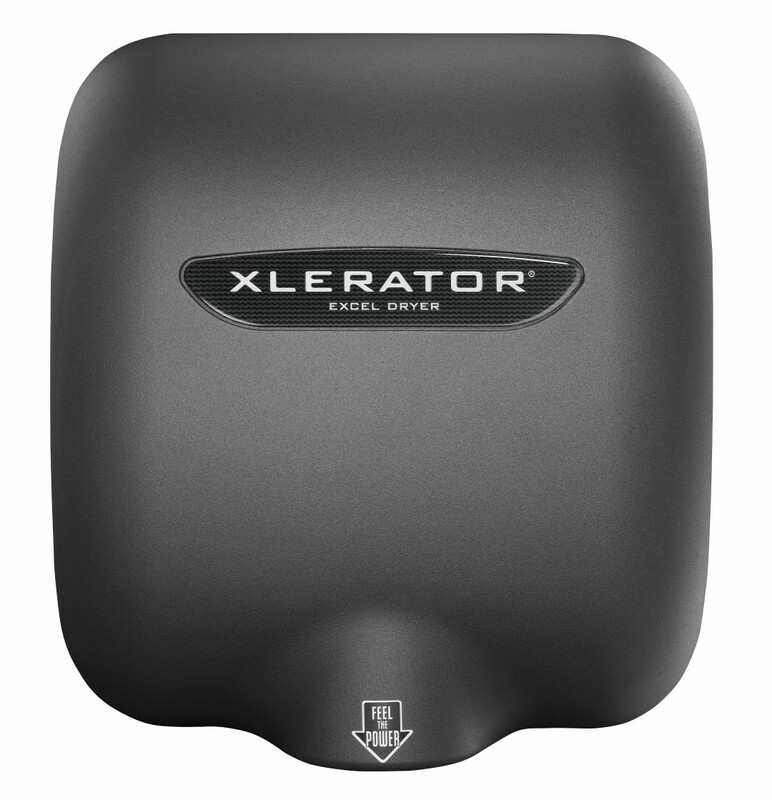 XLERATOR® dries hands completely, three times faster than conventional hand dryers (in 10 to 15 seconds), using 80 percent less energy and offers a 95 percent cost savings versus paper towels. By eliminating paper towels in stadiums and other hospitality industry restrooms, facilities will positively impact global warming trends, significantly reduce carbon footprints and create a more hygienic restroom environment. XLERATOR® is the only hand dryer that is Made in USA Certified®, the first to be GreenSpec® Listed and helps facilities qualify for several LEED® Credits. As all hospitality facilities are now looking for green and cost saving initiatives; the installation of XLERATOR® hand dryers accomplishes both. Not only did Excel Dryer set the new industry standard in 2001 with the release of XLERATOR®, they continue a rich history of innovation with a recently released model in 2014, XLERATORecoTM. The new XLERATORecoTM model extends Excel Dryer’s commitment to providing the most energy-efficient and cost-saving hand dryers with the same proven performance, reliability and durability that are expected from XLERATOR®. Using ‘No Heat’ technology, XLERATORecoTM dries hands in 15 seconds using only 500 watts, making it the most environmentally-friendly way to dry hands on the planet. XLERATORecoTM sets another new industry standard in green innovation and sustainability, and will allow stadiums to use even less energy than ever before. Both XLERATOR® and XLERATORecoTM can be installed in new or existing facilities. Excel Dryer offers several optional accessories including: newly designed ADA compliant XChanger® paper towel dispenser retro-fit kits enabling a complete transformation from paper towels to XLERATOR® equipped restrooms without major renovation needed; an anti-microbial wall guard supporting superior hygienic standards; the 1.1 noise reduction nozzle; and exclusive digital imaging technology for custom cover designs adopted by organizations such as the New England Patriots, the Boston Red Sox and many more. For example, Gillette Stadium, home of the New England Patriots recently adopted XLERATOR® hand dryers that helped The Kraft Group win the U.S. Environmental Protection Agency’s New England Environmental Merit Award for the stadium’s environmentally-responsible design. The stadium was originally equipped with paper towel dispensers and used an average of 6,264,000 paper towels per year – at a cost of more than $50,000 for paper, maintenance and waste removal. In 2009, Excel Dryer announced a partnership with the New England Patriots to install more than 125 high-speed, energy-efficient XLERATOR® hand dryers with digital image covers throughout the stadium. The units have several different cover designs featuring the team’s logo, colors and some with a sustainability message letting fans know why they switched from paper towels. A custom cost-savings analysis revealed that the Patriots saved 95 percent versus paper towel costs, maintenance and waste removal and reduced their carbon footprint by 70 percent with the adoption of XLERATOR® hand dryers. 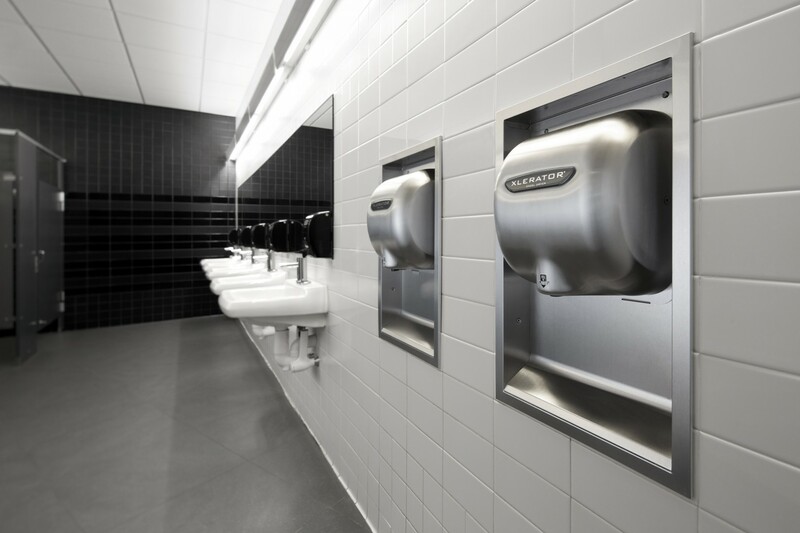 XLERATOR® hand dryers not only reduced the need for Patriot’s facility maintenance, energy consumption and waste removal, but also improved the fan experience with cleaner, more hygienic restroom environments. Additionally, the cost savings analysis also enables each stadium to calculate their return on investment based on installation costs and the number of hand dryers purchased.